A Phase I/II study, led by investigators at The University of Texas MD Anderson Cancer Center, reports an investigational drug called tagraxofusp has demonstrated high response rates in patients with blastic plasmacytoid dendritic cell neoplasm (BPDCN), a rare but highly aggressive – and often fatal bone marrow and blood disorder – for which there are no existing approved therapies. 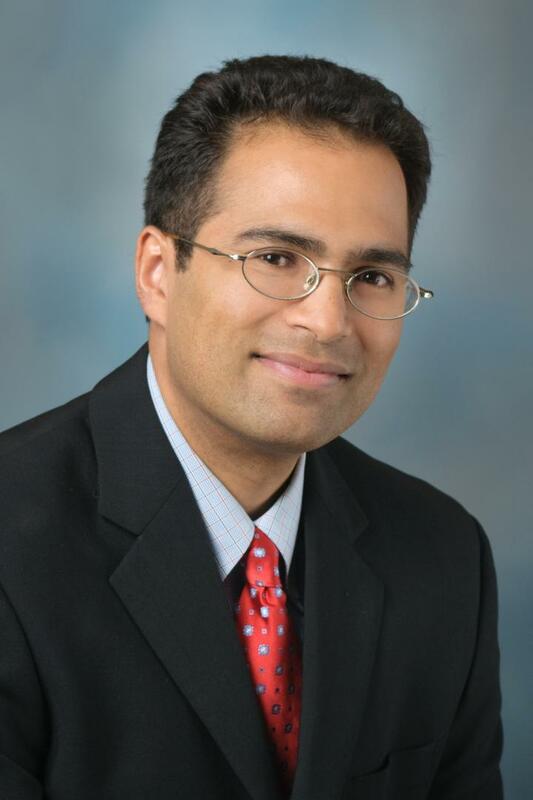 Findings from the study are being presented Dec. 3 at the 60th American Society of Hematology (ASH) Annual Meeting & Exposition in San Diego by Naveen Pemmaraju, M.D., associate professor of Leukemia. "This was the largest prospectively designed multi-center, multi-cycle clinical trial specifically dedicated to patients with BPDCN," said Pemmaraju. "We observed high response rates including an overall response rate of 90 percent among frontline-treated patients. "These findings give us hope for patients who have had no treatments specific to this disorder." BPDCN patients historically have experienced poor outcomes and low response rates with a variety of cytotoxic chemotherapy approaches following diagnosis. While there are no approved therapies or standard of care, patients quite often receive chemotherapy approved for other blood cancers, and/or stem cell transplants, however the majority of patients are older or do not qualify for standard chemotherapy approaches. Forty-five patients with a median age of 70 years were enrolled in the seven-site study which provided tagraxofusp as a first-line or relapsed/refractory treatment. Median follow up for the study was 13.8 months. Patients are continuing to be enrolled for the next stage of the clinical trial which will ensure ongoing access to the drug. Tagraxofusp is a novel targeted therapy that targets CD-123, a cell surface receptor, expressed in BPDCN and other hematologic malignancies. The drug is also being investigated in other clinical trials, including for patients with chronic myelomonocytic leukemia (CMML) and myelofibrosis. Tagraxofusp received a Breakthrough U.S. Food and Drug Administration therapy designation with a rolling biological license application submitted to the FDA. Other MD Anderson researchers participating in the study included Marina Konopleva, M.D., Ph.D., and Hagop Kantarjian, M.D., both of the Department of Leukemia. Other participating institutions included Dana-Farber Cancer Institute, Boston; Stemline Therapeutics, New York; Moffitt Cancer Center, Tampa, Fla.; City of Hope National Medical Center, Duarte, Calif.; Ohio State University, Columbus; Winship Cancer Institute of Emory University, Atlanta; Duke University Medical Center, Durham, N.C.; Roswell Park Cancer Institute, Buffalo, N.Y.; S.C. Spence Consulting, Westwood, Mass. ; and Boston University School of Medicine. The study was funded by Stemline Therapeutics.